I am running into the same issue I ran into last year about this time. My workload at the office has increased to a point where I can barely get anything done at home, and when I am at home, I am quite frankly ready to rest. I am determined that this will not slow down planting when that time comes this year though. Oh, speaking of plants, let me share what I saw yesterday! I rarely “name” my plants. In fact, I think it sounds kind of crazy, but this one earned a name. I call her Ms. T., which stands for Ms. Tenacious. I have been growing this mint for a number of years now, and when I first bought the plant it barely survived. In fact, the other mints that were purchased at the same time died. Why? They were potted and didn’t get watered during a very hot, dry spell. She has also survived two winters of very cold temperatures, and a summer of very hot, very dry weather. 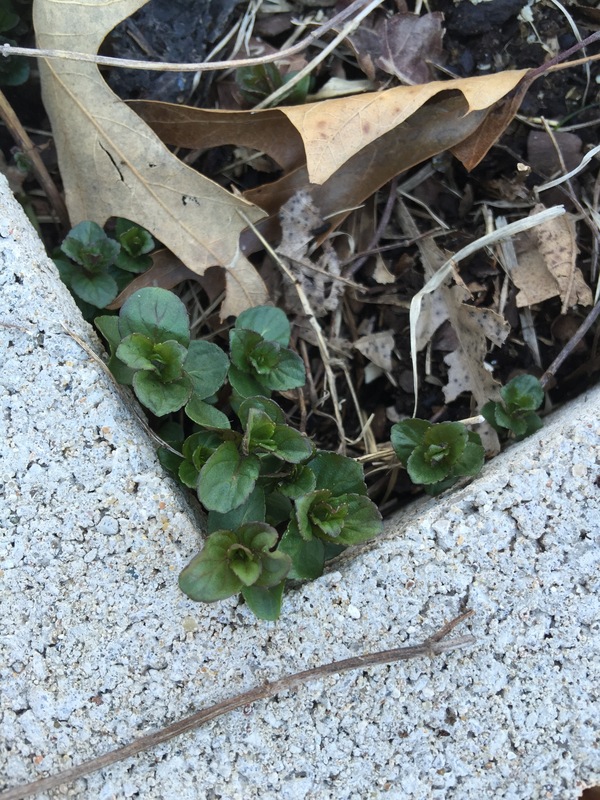 No matter what is thrown at it, this mint just keeps going. I was happy to see her popping her head up good and strong this spring – a sure sign warmer days are to come soon. This weekend my oldest son and I spent some time staking out the garden so we would know exactly where to plant things this spring. I didn’t finish it though, as I became a bit overwhelmed with it all. I’m not sure why that is. I may try to finish it this upcoming weekend. Thankfully I have some time. 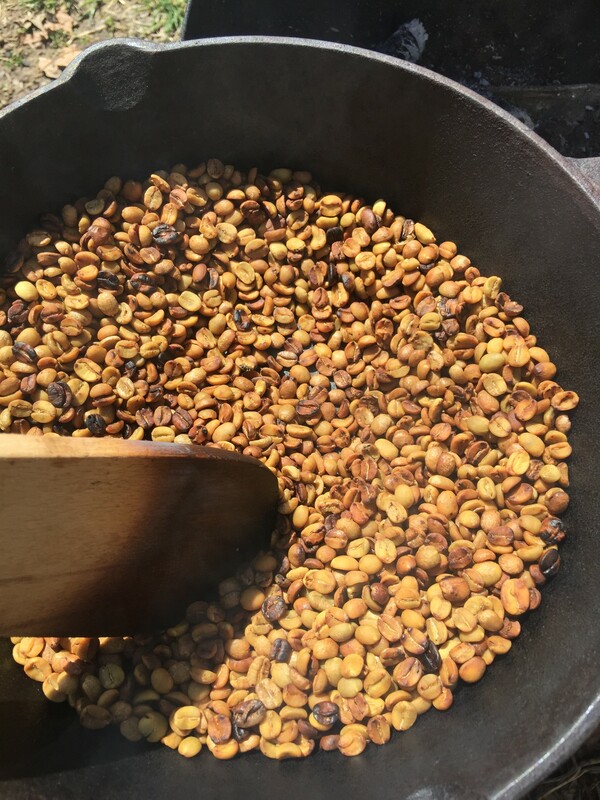 One other thing I spend some time on this weekend was roasting coffee. This has been one of the better coffees I have had in a while – it is a Brazilian coffee, which is typically one of my favorites. I sure do enjoy the fresh-roasted coffee. Until you have had it, you can’t imagine how good it is. Oh, one last thing before I go – be sure to watch this upcoming Wednesday for a post with a great comic one of my son’s created. This entry was posted in Gardening, Hobbies, Pictures and tagged in Chocolate Mint, coffee, gardening, mint, roasting.